The fruit of TechTalks.ph's on-going pursuit to build startups! TechTalks.ph (TT) is thrilled with the support from the Department of Trade and Industry (DTI) of the local startup community. DTI is proposing to fund “Launchpad” Startup mentoring program here in Cebu. TT was instrumental in getting this initiated and hopes that local startups will take advantage and participate in it. Program details are being finalized between DTI and PSIA/Spring.ph* whose curriculum will be used for the first time in Cebu after a couple of years running the mentorship program in Manila. The fruit of TT’s ongoing pursuit to build more successful startups in the Phiippines is happening! Stay tuned. As you know, TT was consultant to DTI when they organized SlingshotPH in Cebu last June 11, 2016. Shortly before that conference, TT was instrumental in connecting DTI Cebu with Cebu startup founders and Joey Gurango of PSIA/Spring.ph. During that informal private meeting at a hotel lobby, it was clear that a Startup Mentoring program was needed in Cebu to help the founders progress faster in their businesses. Joey immediately volunteered to run the Launchpad program in Cebu and DTI Provincial Director Nannette Arbon expressed interest in supporting it. They sought the help of TechTalks.ph to gather the startups and promote the event. We hope this is the beginning of history. Yes, we are definitely in the startup revolution stage (or whatever you may call it). Almost on a global stage, everyone started to pay attention to startups and the opportunities that it gives. In the Philippines, long before SlingshotPH was born (TechTalks.ph is consultant to this DTI project), there was already a small commotion in the Queen City of the South. A small group of tech entrepreneurs and startup fans gathered together to start the noise. In 2010, Tina Amper conducted the first TechTalks.ph meetup in Cebu as a way to get to know the local tech community after working abroad for many years. Mark Buenconsejo, Co-founder of Caresharing.com, immediately joined this effort to give back and gather with geeks in Cebu. In May 2012, TechTalks.ph spearheaded the first Startup Weekend Cebu along with Dave Overton, Albert Padin, Doris Mongaya and others. Shortly thereafter, Mark Deutsch joined in to form the Cebu organizing group behind Geeks on a Beach. The rockstardom of startups has begun, and as we all say - the rest was history. It was a slow phase at the start, but startups and tech investors paid attention to what is considered the biggest gathering of geeks for the geeks. By bringing the right people together, the noise that TechTalks.ph has started is now more organized. And with the recent inclusion of the government sector the startup agenda, we are now closer to where we want the startups to be. StartupPH.org is now in the works. The Philippines is all of a sudden a sweet commodity in the global market. This is a result of all sectors building something, and the noise that TechTalks.ph helped start is key to where we are all now. Launchpad is the latest of this startup-centric activities that everyone started to do. And the TechTalks.ph community being the audience that DTI has been looking to gather, we did the job that we have been doing all this time. We made the connection possible for DTI and the Startups. And wherever this will go from here, whether TechTalks.ph moves to chase a bigger purpose, we are proud to look back and build the startup community on a personal level. We were the human element to what the startups were looking for; we were the big brother and with Sen Bam Aquino’s startup bill, our pursuit of building startups has finally reached its highest peak yet. And we hope that the spotlight reaches the startups and benefit them in the long run. 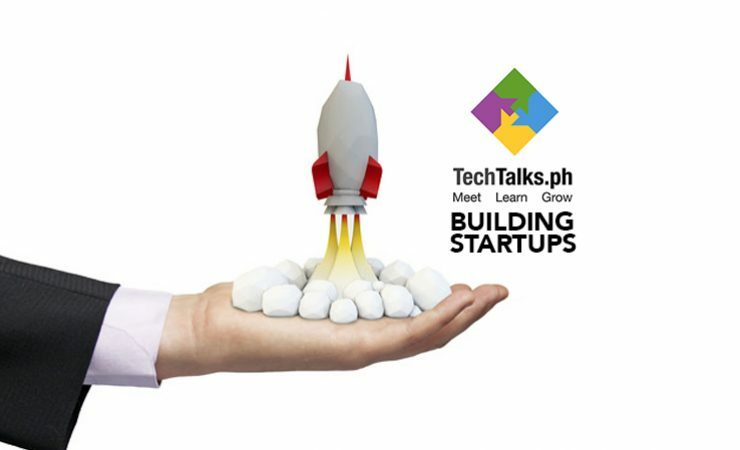 TechTalks.ph along with the active supporters of the startup agenda welcomes this very encouraging development from the government sector as this is what we have worked long and hard enough to witness into fruition.